My journey into Reiki began over 20 years ago, when I received my first Reiki treatment to provide support to my stress levels. During that session, I experienced a profound sense of having found what had been missing. I knew instantly, that Reiki was going to be a permanent part of my life. I undertook my Level 1 Attunements not long after, and enjoyed treating friends and family. In early 1999, I traveled to Australia to undertake my Level 2 Attunements and training with Tibetan-Usui Reiki Master Annie Kropman. After that, life just carried on. Reiki was in the background assisting my life, but I mostly kept it to myself. I worked at a couple of different vocations, before coming to Nelson to study Outdoor Leadership at the start of 2002. I worked in the outdoors for a while enjoying combining my love of Reiki with nature. Fast forward to 2010, while pregnant with my son, I had a strong yearning to develop my Reiki further. 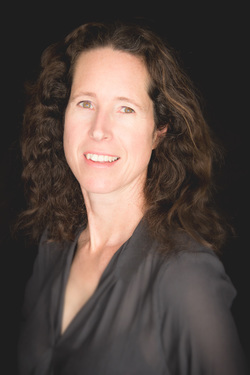 A series of synchronous events led me to find local Reiki Master Kathy Valler-Wahrlich and I undertook traditional Reiki Master/Teacher training in March of 2011. My son arrived at the end of June that year, and Reiki became a large part of my life at that point. 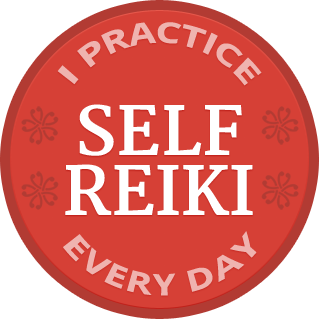 I developed a daily self-Reiki practice, which continues to this day, and rediscovered the power that daily practice has, to bring peace and calm to my life. As my son has grown, it has also been amazing to witness first hand, how open children can be to Reiki energy. The learning for me, is ongoing, and my journey continues to unfold. In March 2015, I reconnected with Annie, and have been blessed to receive attunements as a Tibetan-Usui Reiki Master/Teacher. I find this energy to be softer, yet more powerful and refined than traditional Reiki. It resonates well within me, and is the energy I use in my sessions and workshops. As I have stepped into Reiki as a way of life, I have also been guided to discover and integrate other "tools" into my practice. I have embraced the Magical Child within, as well as reintegrating crystals and essential oils into my practice. I have since expanded on oils and crystals, qualifying as both an AromaTouch Technique practitioner and a Crystal Healing Practitioner during 2017. I guide you in Finding Your Light Within, whether it is covered in trapped emotions, trauma, or just a little bit of stress or imbalance in your life. It is a pathway we walk together. I do not heal you, I create a safe space and the right environment for you to access your innate healing wisdom. In essence, you will be guided and supported to heal yourself. I continue to enjoy my life in Nelson, and have made my home on a boat in the marina with my husband and son.